He might be in his 70’s but Emmanuel Ugba is as strong as a horse. 2 Police men were beaten black and blue by the 72 year old, while he was resisting arrest. On July 1, assaulted officers - Shange and Joy Abah, who served him a warrant to report to the police station were unlucky because he had given them some thing that they will never forget. Ugba allegedly obtained 60,000 Naira from Bem Tiga of Agber Village, Makurdi under the pretense of leasing a piece of land to him. 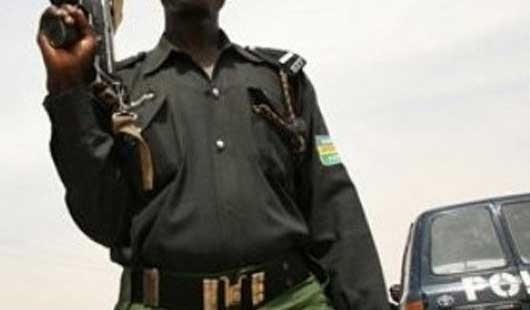 Tiga reported the transaction to the police at ‘B’ Division Police Station, Makurdi, when the accused could not provide the land he had already paid for. On investigation, the police found that the land on New Otukpo road; Makurdi was a subject of litigation. The officers returned to the accused with the warrant and instead of accepting the warrant, the accused beat them. The Magistrate, Felicia Ikyegh, granted the accused bail in the sum of 30,000 Naira and a surety in the same amount when he was brought before a court in Makurdi. He will reappear at the court on a later date when hearing into the matter will begin.